It’s asparagus season!! Enjoy this healthy vegetable as much as you can during the season. Asparagus is full of fiber and protein, a rich source of vitamins A and B and K and the antioxidant glutathione as well as many trace minerals! These nutrients help to maintain a healthy immune system, good vision, healthy kidneys, balanced glucose levels and healthy skin. 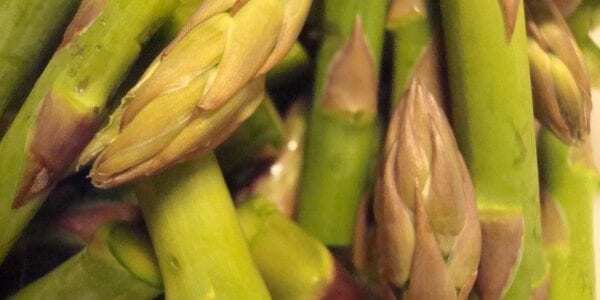 So eat asparagus as often as you can when in season! Asparagus is a good source of fiber and protein, both essential for good digestion and immunity.It contains a number of anti-inflammatory compounds that protect you from type 2 diabetes and heart disease. It has antioxidants, including one called glutathione, which is known to protect the skin from sun damage, pollution and the effects of aging. 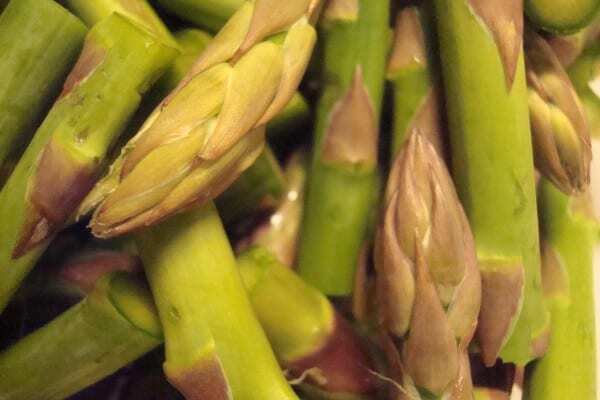 The Vitamin K in asparagus is excellent for healthy blood clotting and strengthening bones. Asparagus contains a unique carb called inulin, which remains undigested until it reaches the large intestine, where it helps to absorb nutrients better, and cut the risk of colon cancer. Asparagus is a rich source of B vitamins, which are known to regulate blood sugar levels. Green asparagus contains vitamin A for better vision, potassium for smooth kidney functioning, and trace minerals that help boost immunity. 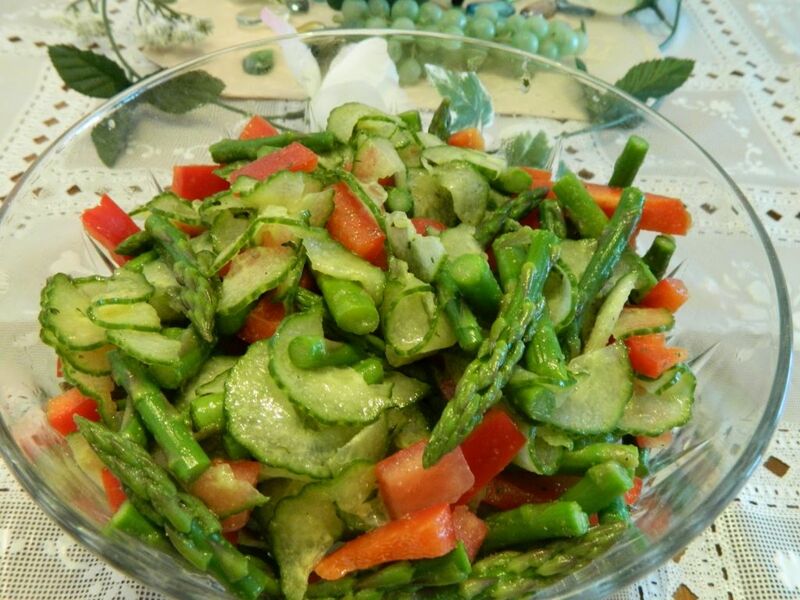 Here’s my simple and delicious spring salad starring asparagus! Cucumber Asparagus Salad! Crisp cucumber slices and raw asparagus usher in Spring’s lighter fare; perfectly accompanies spring lamb or chicken breasts- yummy all on it’s own. In a large bowl,combine all the ingredients, toss and transfer to a shallow serving dish. Serve with the above mentioned choice of meat or thinly sliced grilled flank steak; also perfect as a starter salad! Serves 4-6.